Not C.A.R.B. compatible. Not available for sale in California. The IG2600HP comes standard as a parallel version. A convenient retractable wheel and handle kit makes it very easy to transport and move around any place you need it. 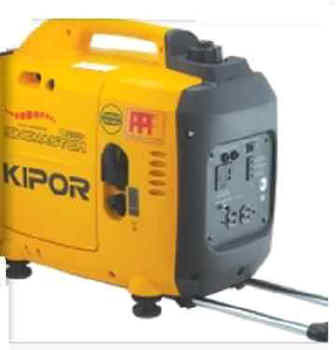 With a 2300 watt run load, it is able to provide a lot of steady clean power to operate a number of different appliances and tools. With the optional parallel kit, two IG2600HP models can be connected to provide 5200 watts of power.